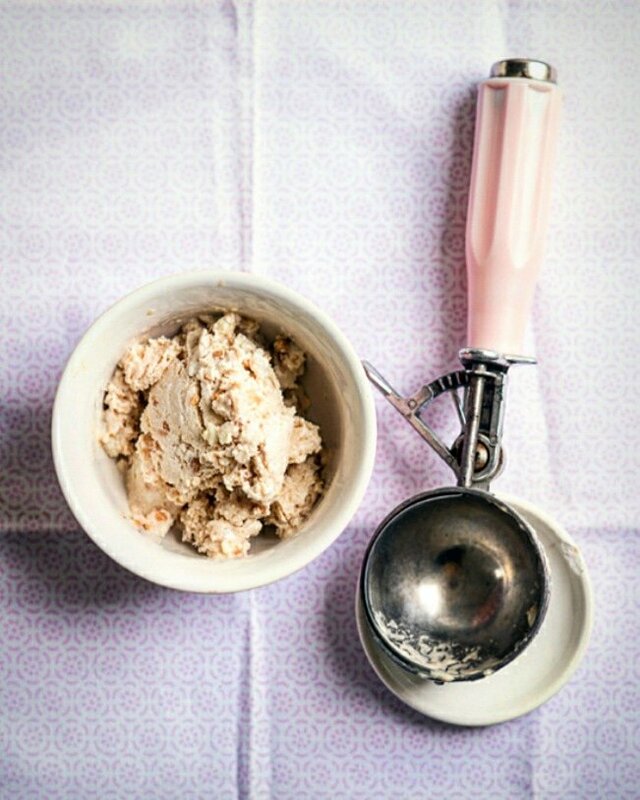 This simple recipe is a must for any peanut butter lovers. Its first incarnation was as peanut butter-flavoured yoghurt – made by mixing two of my staple food items together for a sweet treat – and it went from there. I don’t add sugar or syrup to sweeten this recipe when I make it as I like the slight tang of the peanut butter, but feel free to add a tablespoon or two if you wish. It is probably possible to make this vegan – I am going to experiment with it and report back. Pour the yoghurt into a mixing bowl and stir in the peanut butter and milk until well combined. Add the sugar, if using. Finely chop or grate the white chocolate and fold through. Put the whole bowl in the freezer for 1 hour, uncovered. Remove and stir well. Line a 1lb loaf tin (approximately 17 x 7 x 6cm) with two or three layers of cling film, making sure to press it into the corners of the tin. Pour the semi-frozen mixture into the loaf tin, cover with more cling film and freeze for at least 4 hours. Remove from the freezer and serve by the scoop, or tip out of the tin and serve in slices if preferred. 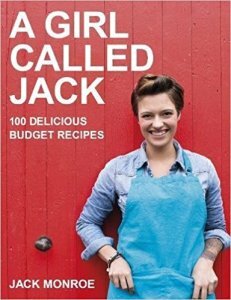 “Peanut Butter & White Chocolate Frozen Yoghurt” is from my first book, A Girl Called Jack. 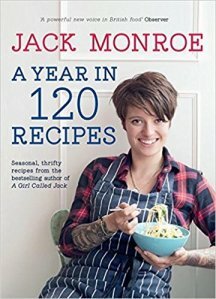 Hey jack this looks great and am going to try it with soya yogurt and milk . I don’t like using cling film because of the plastic so I was just wondering if it’s essential? I don’t know if you can do without but there is a German company called BioBag which sells via Amazon and they do an organic compostable cling film. Other companies make similar products – search “biodegradable clingfilm” and loads of options come up. 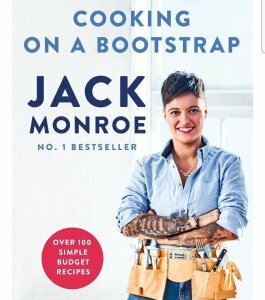 Thanks Jack! So just to clarify, the 30g chocolate should be white chocolate? or could it be dark chocolate? Hi Jack this sounds yummy thanks, does the milk have to be longlife? Awesome article, sounds great! ?? Totally delicious. I was having to stop myself eating it all at the part-frozen stage. I used milk chocolate and just put it in a clean ice cream tub with no cling film and it’s worked fine. Gamechanger!! Going to try it with jam instead of the chocolate too! I didn’t have any chocolate in the house so I stirred in a couple of level tablespoons of cocoa powder instead- yummy!